JP's Music Blog: CD Review: Bash & Pop Reform Behind Deluxe Edition Of "Friday Night Is Killing Me"
CD Review: Bash & Pop Reform Behind Deluxe Edition Of "Friday Night Is Killing Me"
American rock band The Replacements was one of the pioneers of alternative rock music in the 1980's. As their popularity grew throughout the decade, so did the troubles within the band and they disbanded in 1991. Bassist Tommy Stinson still had that hunger for performing in a rock band and assembled his new group named Bash & Pop from the ashes of the Replacements. They released only one album in 1994 before disbanding two years later. Stinson would go on to become a permanent fixture in Guns N Roses for the next two decades. Since his tenure ended with Guns N Roses, Tommy Stinson is looking to reassemble Bash & Pop for a new album and a tour. In association, Omnivore Recordings is re-issuing the band's 1994 album "Friday Night Is Killing Me" as a 2CD set. The first disc features the original 11-track album, which featured fellow Replacements' drummer Steve Foley, bassist Kevin Foley and guitarist Steve Brantseg, along with help from members of Tom Petty's Heartbreakers and members of Wire Train. The album still feels relevant today as when it was released over 20 years ago. The raw, pure feel of the music gives it that timeless quality. The second disc in the set features 18-tracks of home demos, alternate versions of songs on the album and few songs that were recorded during the sessions for other projects. The first four tracks features home demos of the songs "Never Aim To Please," "First Steps," "Hang Ups" and "Tiny Pieces," which do not stray far from the final original versions. Stinson and the band seemed to have everything worked out before recording any versions of their music. The disc includes the song "Making Me Sick" from the "Clerks Original Motion Picture Soundtrack" and 10 alternative versions of nearly every song that appeared on the original album. The songs vary slightly from the final released version, but it's still great to have all of the band's other ideas for their songs. 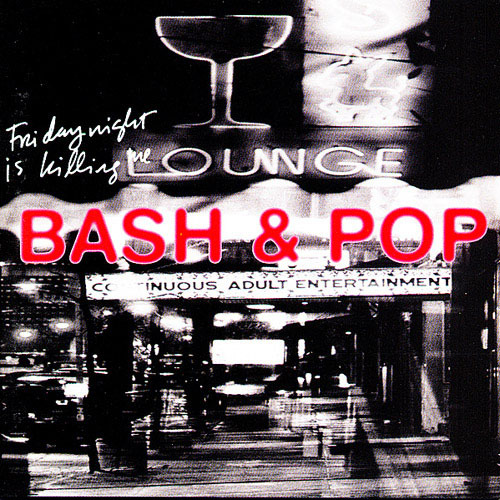 ​Bash & Pop will be on tour in September and October and look for their new album to arrive before the end of the year. 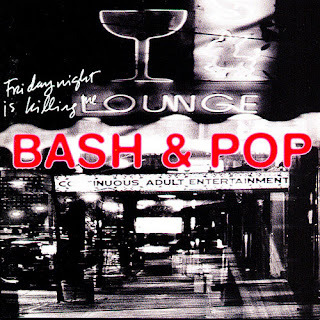 For more information about Bash & Pop, please visit tommystinson.com.